Idea is being reviewed by Salesforce. We'll post an update in 2-4 months. Support for fully private (no read or write) activity sharing model. When you put private as an organization wide default for activities the following is true: «Only the activity owner, and users above the activity owner in the role hierarchy, can edit and delete the activity, users with read access to the record to which the activity is associated can view and report on the activity.» This means that if you share for example an account all the activities on that account become visible. This is very unlogical especialy since I specified in the sharing model that all activities should be PRIVATE! I would like to be able to setup a REAL private sharing model for activities. Only me and my above hierarchy would be able to see my activities regardless of who sees the related record! I think the labels on the organization-wide default settings are a bit confusing. The "Parent-Controlled" option is really about editing. Even in the "Private" setting, parents still provide read access to the activity. Events have a "private" checkbox but tasks do not. 1. A new "Private NO-READ" organization-wide setting which would be what I think people are saying is "truly" private. Question - should role heirarchy be able to see the activity or ONLY owner and admins? 2. A new "private" checkbox on task object to selectively make a task private to woner and . Same question - should role heirarchy be able to see the activity or ONLY owner and admins? Do these make sense? If you could only have one - which one? We are exploring this issue but I need more insight into what the right behavior would be for the most customers. I belive the right behavior is that the OWD for Activities if seleted PRIVATE - all activities including Events, Tasks, Log a Call, should all be PRIVATE to the owner of the activity only. It should not matter if the Accounts are Public/Read/Write. For examle a Company with 227 users wants to share the Accounts to prevent duplicates, however there are multiple sub divisions and Sales teams working independently that should not SEE each others Activities. If granted System Administrator permissions - yes they should see all. In addtiion when it comes to the INDIVIDUAL users records - when assigned to a MANAGER - the manageer should be able to reports on their TEAMS actvities and see them. This is not a FEATURE request, this is a BUGFIX, and it needs to be fixed immediately! There is no rational argument for having any object's sharing settings set to PRIVATE, and then exposing those records to to users that are not specifically granted acces through sharing settings or the role hierarchy. 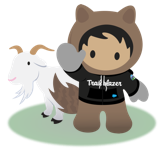 This is an extreme security concern for our organization, and we may now have to consider migrating away from the salesforce platform if this issue isn't resolved. I can't believe that this has been sitting on the back-burner for 11 years, unbelieviable! An 11-year-old feature request that is still in product review... whoa, Salesforce, slow the hell down. I'd hate for you to get whiplash from implementing crazy feature requests like this one so quickly. So if Im reading this correctly, there are 1085 people who have requested this and 3 who have posted that it is a bad idea. As a firm, we've been asking for this for over two years. We have yet to hear anything directly from Salesforce and the last response posted here is six years old. If we ran our company being this inattentive to our clients' requests, we'd be out of business. We would love a "Private - No Read" org wide seeting that hsould be shared via the normal role hierarchy and of course to owners and admins. Thanks! Please make a private, no-read option (with option for role heirarchy) that can be shared with standard sharing rules just like other records. This idea has the status 'product team review' which says we should have an update in 2 to 4 months but we have no way of knowing when it moved to this stage... it could have been there for 5 years for all I know. The last update from Kayvaan was 6 years ago! Please can we have some info on this. This is a must have. I can’t believe it hasn’t been delivered yet. Our users are never going to use Tasks to their full potential if they do not have confidence in the sharing model. Need it, simply being able to view an Account or Contact should not determine whether you can see activities which could contain sensitive details. Have messaged Kayvaan Ghassemieh to see if there is any update on this. Does anyone from Salesforce ever read these comments???? Or are we all just venting to each other . . . There non-responsiveness to this issue is appalling. Help us to keep IdeaExchange clean by pointing out overlapping ideas. We'll investigate your suggestion and merge the ideas if it makes sense. Thanks for your merge suggestion. We will review it shortly and merge the ideas if applicable. Salesforce takes abuse situations very seriously. Examples of abuse include but are not limited to posting of offensive language or fraudulent statements. To help us process your request as quickly as possible, please fill out the form below describing the situation. For privacy and security reasons, the final outcome of an abuse case may not be revealed to the person who reported it. Thank you for your feedback. We take abuse seriously and will investigate this issue and take appropriate action.